I, Anubis come for your soul, mortal grave robber! LEGO themes vary across time and this is one that probably deserves a revisit. The Egyptian-themed release under the banner of Adventurers in 1998 featured exploration of iconic structures in ancient Egypt, and the treasures they contained. 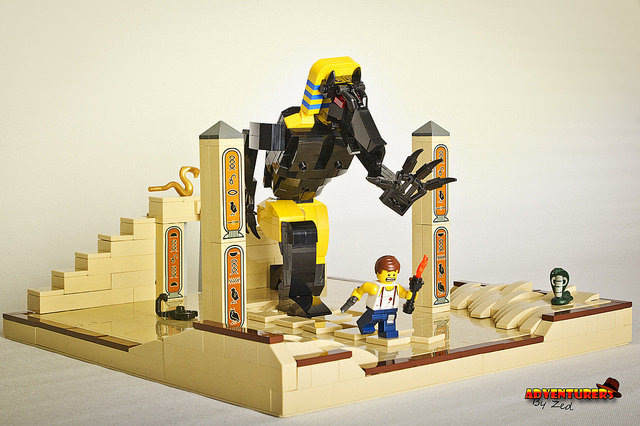 Builder Zed reimagines what could have been a set release with a build of a towering Anubis, the god of mummification and afterlife, chasing after an explorer! Unlucky fellow, for I can’t see anything of worth that he’s got to run for except his life!